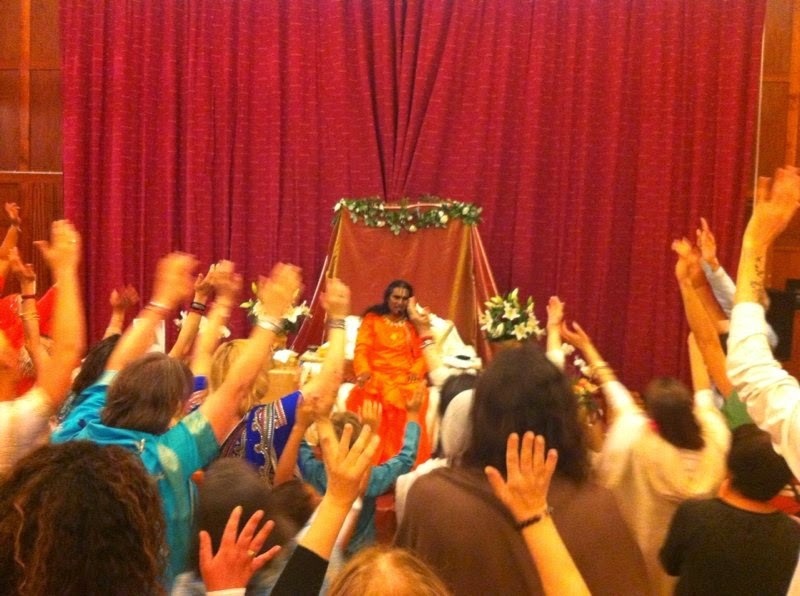 After a wonderful week with Swamiji in London, the final event was Darshan on Saturday evening. 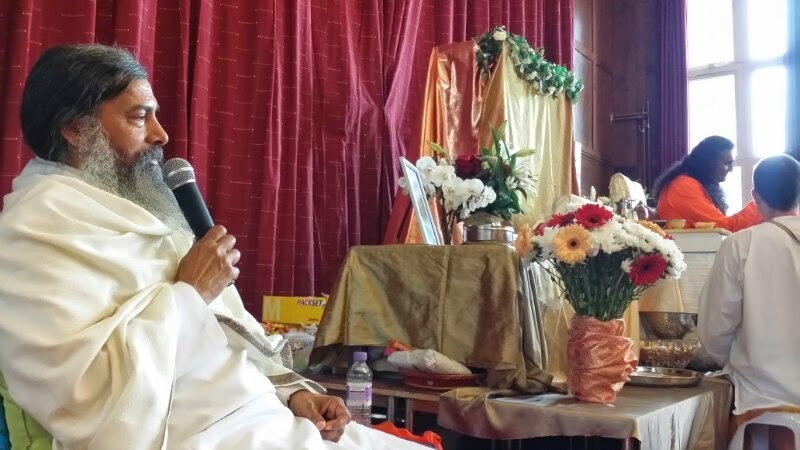 It took place in a school hall in East London which was packed full by the time Swamiji arrived. After singing a bhajan, Swamiji gave a short talk. He spoke about logic versus the heart or intuition and how people are always very quick to trust what they can see on the outside but not as quick to trust their intuition. He told a story about how Krishna once pretended to have a stomach ache. He said the only way to cure it was with the dust from his wives feet. So He asked Narad Muni to go and ask Rukmini and Satyabhama. But when Narad Muni asked them, they both said. "Oh no! If we give you the dust from our feet for the Lord we will go to hell!". So Narad Muni decided to go and ask the Gopi's instead. Without blinking, the Gopi's said "Yes, quick quick take it". Narad Muni said "But you know you could go to hell if you do this?". 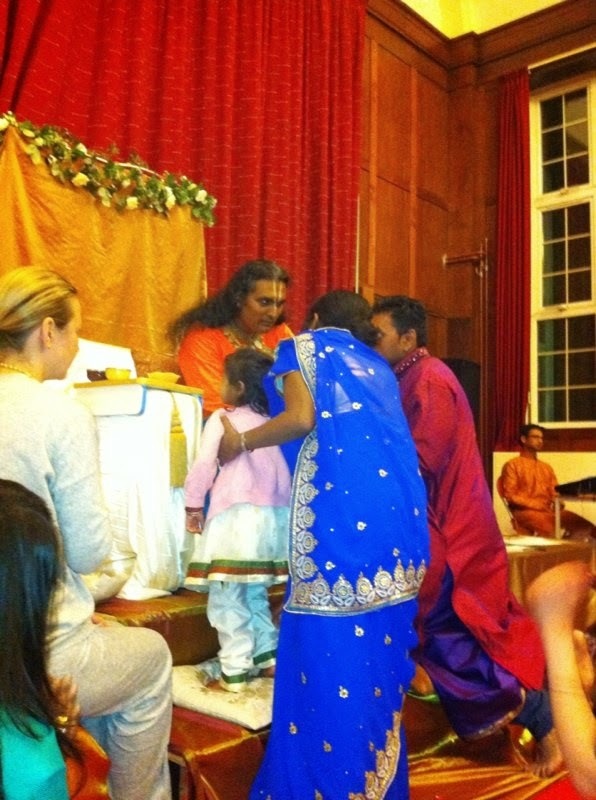 But the Gopi's said "It's ok, we will happily do that for our Lord". And so when Rukmini and Satyabhama heard this, they realised what true devotion was. In between the singing there were a few talks, one of them from Dr Satyanarayan Das (Babaji). He spoke about how we are all one big family and the universe as a whole which we are all connected to. He stressed the importance of really seeing each other as this big family and treating each other as siblings. After his talk, Swamiji asked Babaji to sing but Babaji was a little shy to sing so Swami encouraged him to sing the simple bhajan "Jai Radhe, Jai Krishna, Jai Vrindavan". It was really sweet to see Babaji singing this and actually he sang very nicely, it was beautiful! The event went on long into the night finally finishing just after midnight. 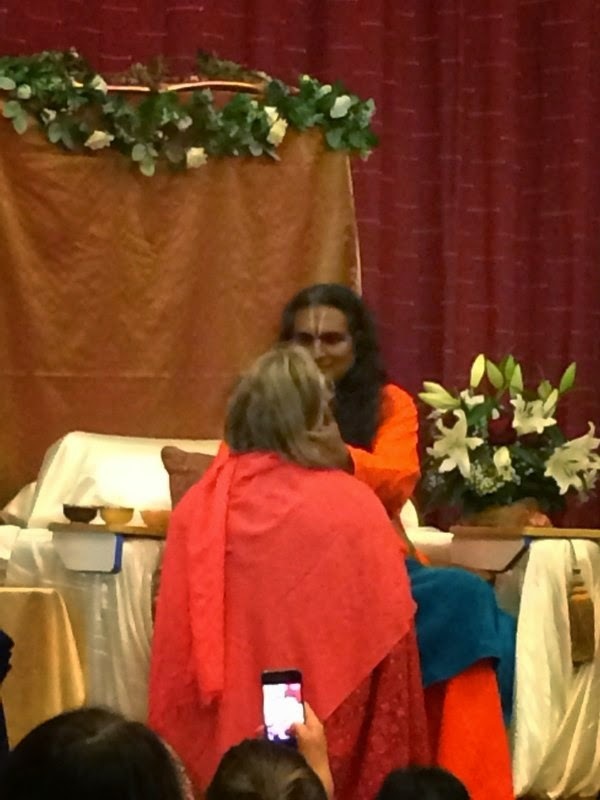 It was a great turnout of about 400 people, around half of whom had never met Swami before!